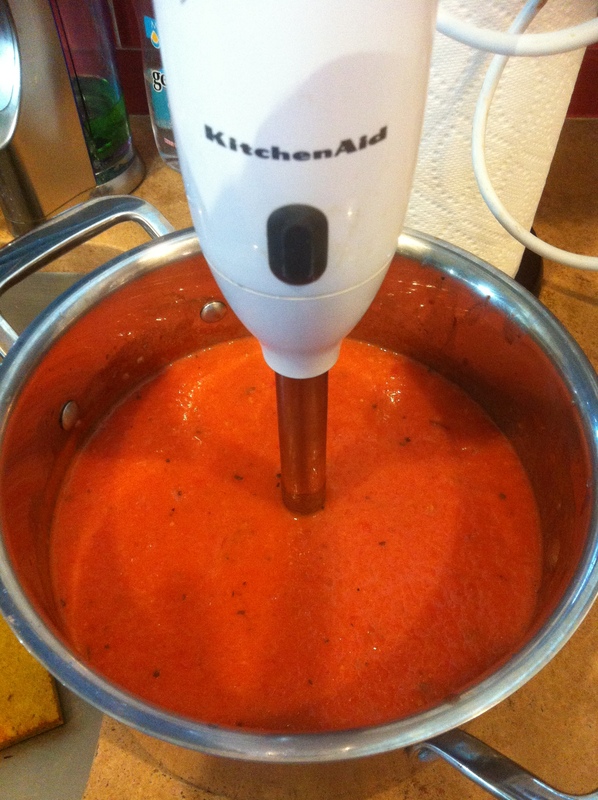 Easy Paleo Tomato Basil Soup! I have not posted a new recipe in a while, so here goes! It’s just so simple. Roughly chop the onion and sweat it in the olive oil over medium heat. Once they are semi-soft add the basil and stir for a minute or so. Add the tomatos to the pan and heat through. I usually smoosh them with my wooden spoon just to get the process started. Season with a bit of salt and pepper, then get out your immersion blender. Blend until smooth, and add your cream of choice. Re-season to taste, and you are all set! Seriously, I dare anyone to say this does not taste AMAZING!!! If you give it a try let me know, I think you’ll be pleased. 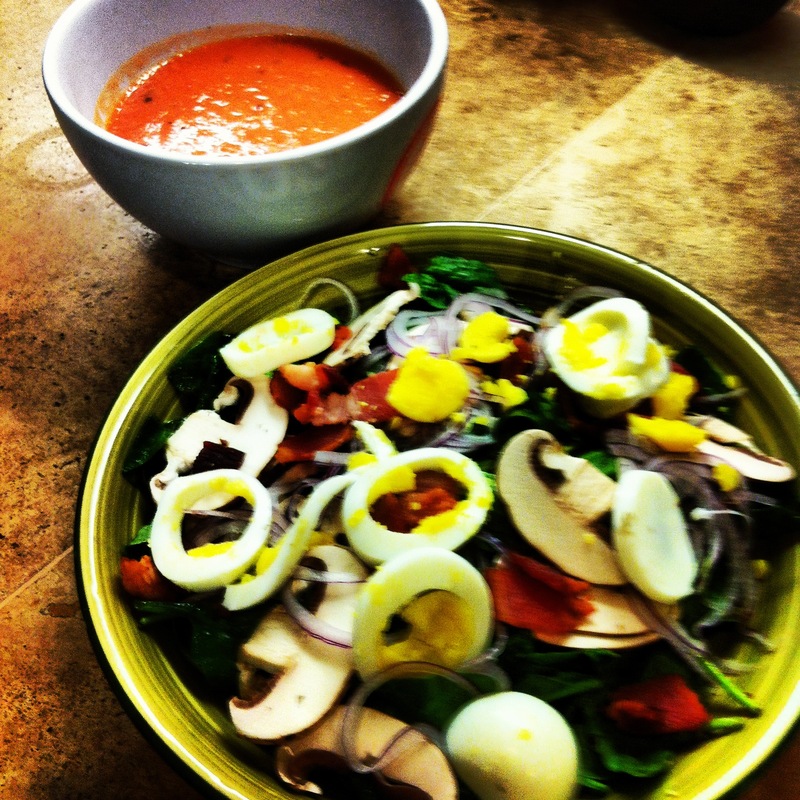 I served it alone side a quick spinach salad for a light and satisfying meal. Looks delicious! 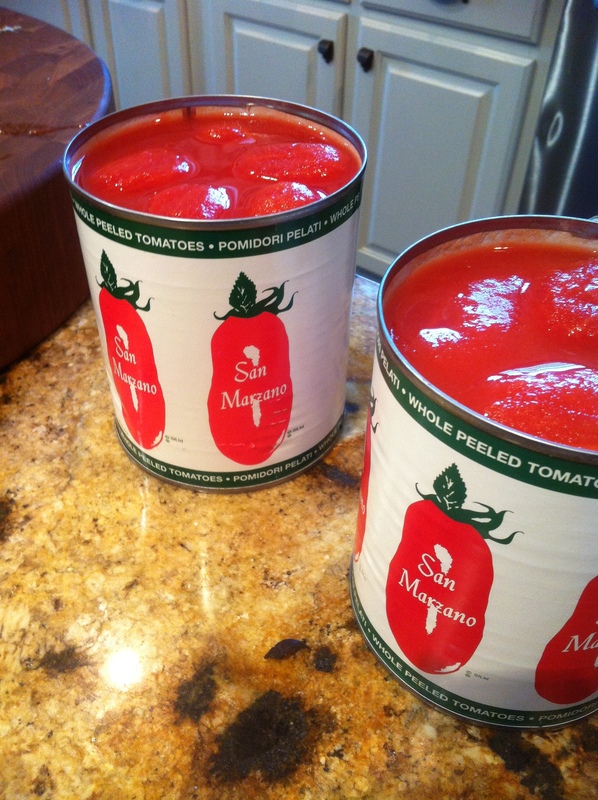 Only problem is the BPA in the lining of the cans, which leaches into acidic foods like tomatoes at a higher rate. Muir Glen and Eden canned/jarred tomatoes are now BPA-free. Thanks for the recipe. It looks quick and easy, and I’ve just added it to my shopping list. I’ll let you know how it turns out. Heavy cream??? You’re totally contradicting yourself. Organic Heavy Cream is almost all fat, therefore the milk proteins (what is bad for you) are essentially gone. Paleo big whigs like Sisson and Wolf say it is ok in moderation. Not that that makes the case for me, I think in minimal amounts it is fine. It’s the dairy that is bad, not the fat. If you feel the heavy cream adversely affects you, by all means cut it out! So on the Paleo regime one can eat dairy? Others say this is a nono. If it’s all fat, how much fat is allowed? How does this differ from Atkins, which never worked for me? Dairy is not Paleo. However, all dairy is not created equal. Dairy has some good qualities, protein, calcium. Also has some bad qualities – the way the cows are raised for instance. Stick to high quality, raw, organic products, use in moderation, don’t use at all if dairy bothers you. I have discovered that I can use canned (not the carton) coconut milk in place of dairy in most cases. It doesn’t add a coconut flavor just a creaminess. Experiment with your recipes and see what you like! 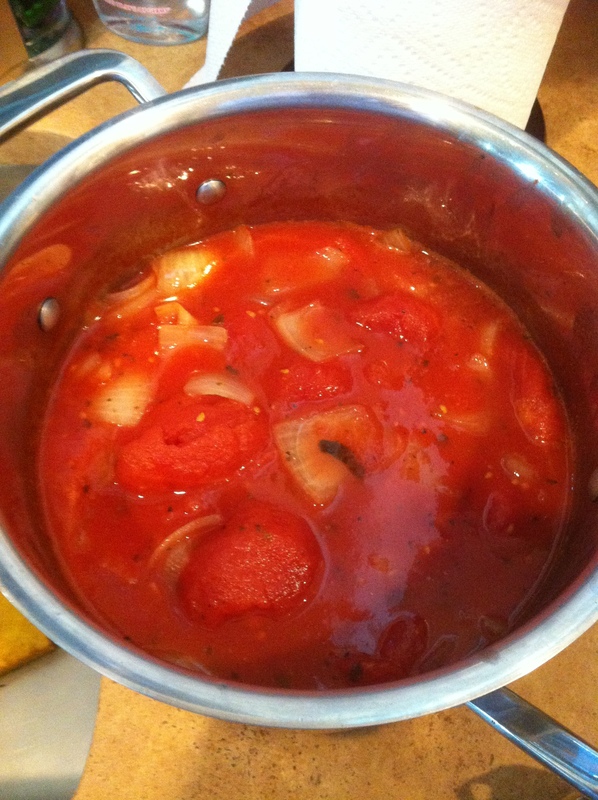 This looks wonderful..I have 2 large basil bushes that have survived our NC winter This will be our stsrter for the Super Bowl…I’m on day 33 of Whole30 so this will be the first dairy..I also love those tomatoes I now only make Giada’s Homemade Tomato Sauce so easy and so healthy! !..have you tried OMG mango & beef with plantains?? …it’s a keeper! Have you made this soup recipe with coconut milk yet?